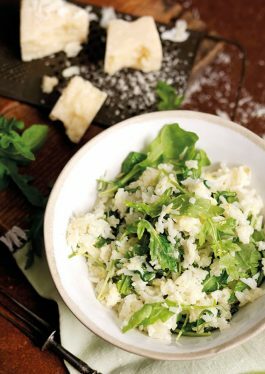 Traditionally, risotto is made using arborio or carnaroli rice renowned for their sticky, starchy qualities. This recipe adds a twist by using VeeTee microwaveable Thai Jasmine rice instead which requires far less stirring time and works just as well! Heat the oil in a saucepan over a medium heat, before adding the onions. Sauté until softened, then add the garlic and fry for 2-3 minutes. Add the white wine and lemon zest and cook for another 3-4 minutes. Tip the tray of VeeTee Thai Jasmine rice into the saucepan and carefully break up using a wooden spoon. Cook through for 2 minutes, stirring all the time. Add a couple of tablespoons of water if the mixture becomes too sticky. Add the rocket, stirring through until wilted followed by the lemon juice. 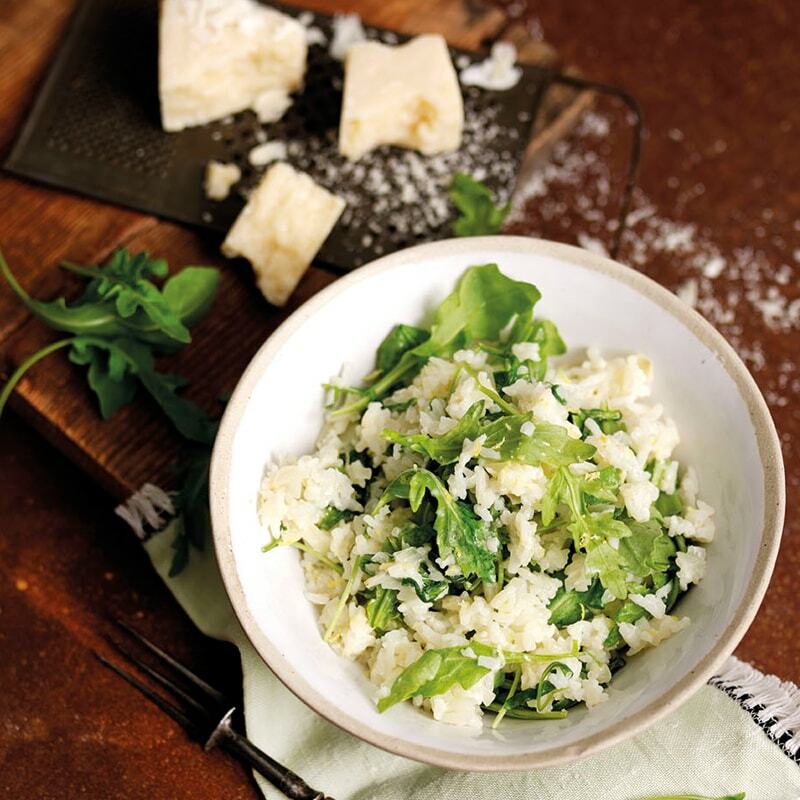 Mix the mascarpone and Parmesan cheese into the rice, until thoroughly combined. Season to taste. Serve hot, with additional Parmesan cheese sprinkled on top.